With the cataloguing of C.H. Waddington’s papers now completed, my next task is to move on to the cataloguing of the papers of the Institute of Animal Genetics, which was housed in the handsome building pictured above. The building’s architect was John Matthew of the firm Lorimer & Matthew, and construction took place 1929-1930. With its symmetrical design, Dutch gable, balcony and arched windows, the building is somewhat reminiscent of a country house. In many ways, the ‘Institute’ was as much a concept as it was a building. As an organisation, its predecessor was the Department of Research in Animal Breeding, under the Directorship of Professor Crew. 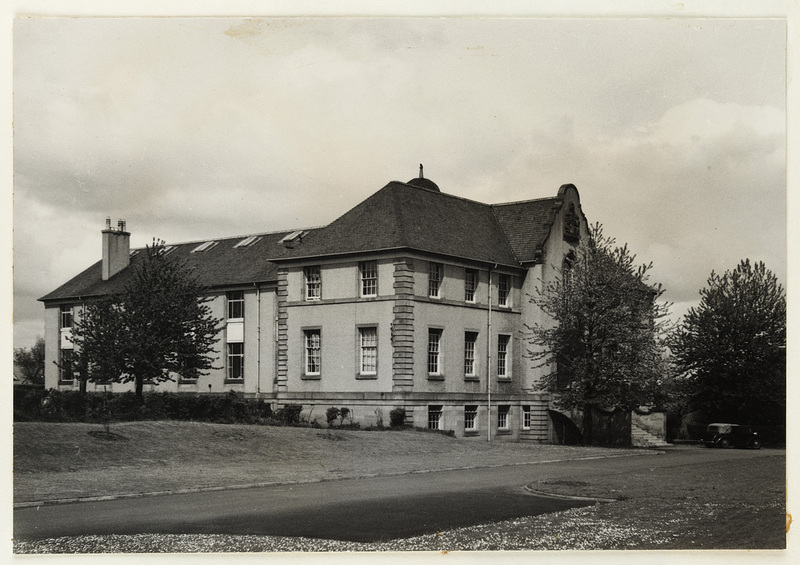 Originally housed in central Edinburgh, in 1924 the Department moved to the King’s Buildings site to the south of Edinburgh, before transferring to the newly opened Genetics Building nearby in 1930. At this point the Department itself became known as the Institute of Animal Genetics. As time went by however, this name became more attached to the building, which was to house numerous bodies and factions over the years, such as the Animal Breeding and Research Organisation (ABRO) and Waddington’s ARC Unit of Animal Genetics. The building, which still stands, has been renamed the Crew Building, and is now home to the School of Geosciences. This picture was taken from a photograph album presented to Waddington in 1955 by his colleagues on the occasion of his 50th birthday celebrations at the Institute. The original photo album will be catalogued shortly, along with the rest of the Institute’s records.